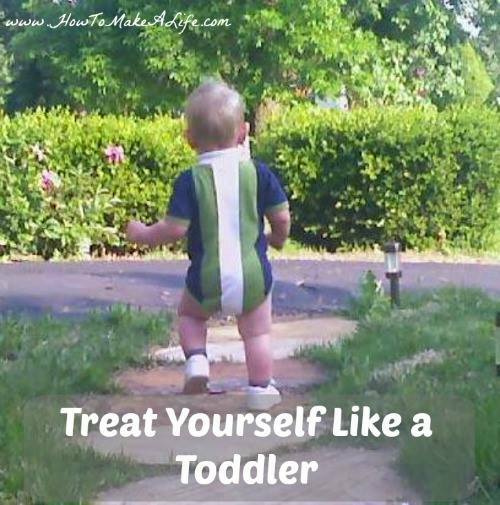 “Treat yourself like a toddler” Overheard at the tables last night and it gave me that slow opening ‘ah ha’ moment. Why are we so hard on ourselves in recovery? Often times our #1 resentment or critic is ourselves… Day 5 or day 500. 😕 Would I carry these same thoughts towards Toddler LF? “LF shouldn’t wear those cute boots for work, they will get too tight after a few hours and her feet will hurt” – okay, I will wear something more comfortable, yet fashionable. “LF doesn’t need to eat donuts in the morning, too much sugar – will make her tired and cranky later” – let’s by-pass the coffee shop at the train station this morning. What type of things would you say to your ‘toddler’ self to guide in the right direction for your recovery journey?